The word "Stalker" can often be seen on websites, in books. But often the people who had to hear this term, I don't know what it means. The word today has several meanings, which connects something in common. 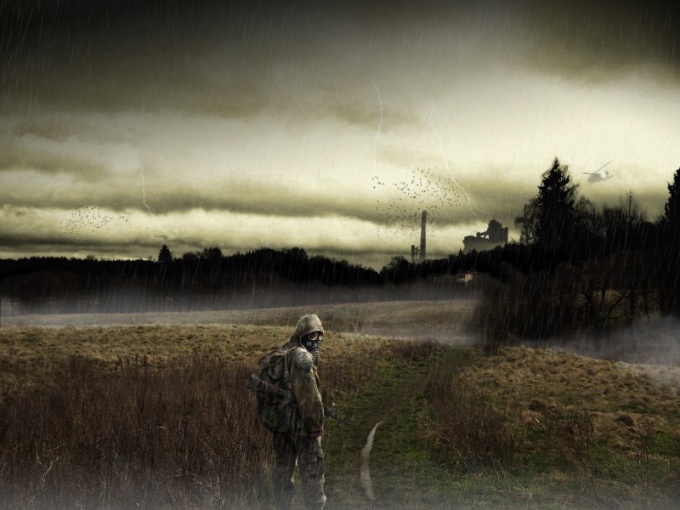 How to find tools in "Stalker call of Pripyat"
Stalker in English the stalker - a hunter, trapper, Stalker. This is a man who enters into dangerous territories and objects, connected with risk for life or health, for example, radioactive, and studies them. So, environmental scientist Alexander Naumov - one of the most famous stalkers in charge of studying the Chernobyl exclusion zone. His face used at character creation of the popular game S. T. A. L. K. E. R.
To date, the word managed to get a lot of different values. For example, in the techniques of self-improvement Castaneda is the person consciously performing unusual actions or ordinary actions in an unusual way while watching myself; he who is always able to make the best out of any situation. Also stalkers are called lovers of tourism on poorly understood or ignored for any reason objects, or fans of industrial tourism associated with illegal penetration into any area or object. A very popular book and game series S. T. A. L. K. E. R., where stalkers are called the inhabitants of the exclusion zone around Chernobyl, exploring it, protecting from destruction and seeking valuable artifacts. About the stalkers are described in different works of art, for example, in the book "roadside picnic" writers brothers Strugatsky (1972), Andrei Tarkovsky film "Stalker" (1979), etc. There is also a real community of people who call themselves stalkers and those trips to the territory of the Pripyat exploring and photographing abandoned places. The photos are laid out on certain Internet sites. They have a number of rules - nothing to break, not make, not to leave a trace. Stalkers find a breathtaking journey into the wilderness, where before people lived. Many of the buildings and premises are the same as a quarter of a century ago, before the crash, and recreate in the imagination the lifestyle of the Soviet era. Those who call themselves stalkers attracted to the idea to test yourself and your ability to survive alone in an unknown area, and someone is looking for adrenaline, illegally penetrating into visitors territory. Someone wants to finally feel it depends only on itself - in a place where there are no other people. Many wonder how wild nature conquers the once occupied town sites.